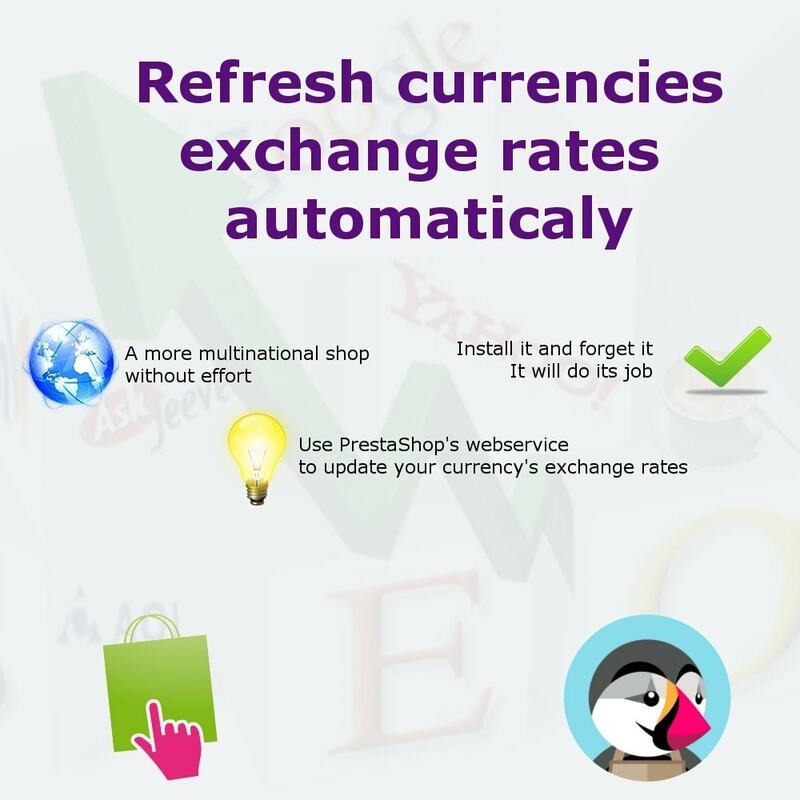 This module updates automatically and regularly the exchange rates of your shop. It thus allows you to propose to your customers the right prices for each currency they use. Prestashop allows to use several currencies by shop, the prices being calculated from the currency by default and the exchange rate. It is thus important to maintain up to date the exchange rates in order to keep coherent the prices in the various currencies. Once the module installed, it will update the exchange rates every twelve hours. 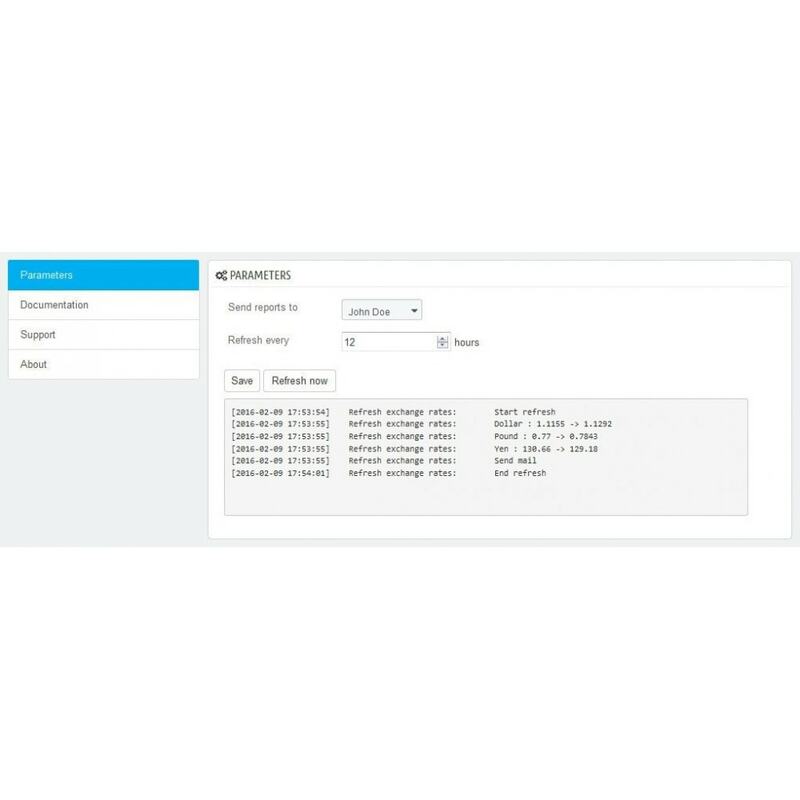 You can modify this interval and choose to receive a report by e-mail when a currency is modified. 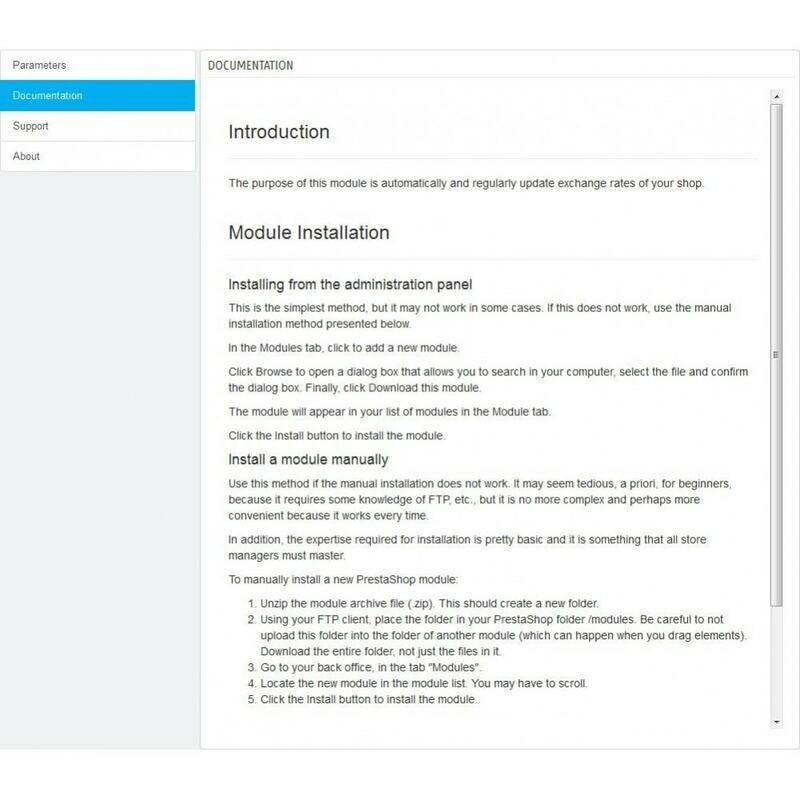 The first Content Protect PRO module is bringing all the necessary features you need to protect your online shop. It allows you to disable right click, copy-paste and text selection. Whatever is the used currency, the customer will have a coherent product sheet, it avoids you of the support if the customer asks why a product is more expensive in dollars than in euros as well as of the cheating on the currency.